If you take Viagra or another similar medication for erectile dysfunction, be aware that you’re at an increased risk of developing a hearing condition known as sudden sensorineural hearing loss. Viagra or a similar drug. Any of the dozen or so drugs that belong to the class of medications known as PDE-5-inhibitors are linked to sudden hearing loss. The more common ones include Viagra, Cialis and Levitra. 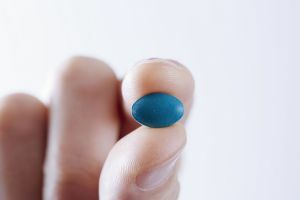 Some researchers have dubbed this “Viagra deafness.” In the limited research that has been done on this problem, hearing loss typically occurs in one ear only and within one day of taking one of these drugs. About a third of the time, the hearing loss is temporary. One of the first alarm bells was a 2007 case report, published in The Archives of Otolaryngology-Head and Neck Surgery, about a man who experienced sudden hearing loss in both ears after taking Viagra. That prompted the FDA to monitor for similar cases of men experiencing sudden hearing loss in one or both ears, sometimes accompanied by tinnitus, or a ringing in the ears, after taking one of these drugs. Then, a larger study found a similar link: Men who reported use of PDE-5i medications were twice as likely to also report hearing loss as were men who had not used the drugs. However, the study could not prove cause and effect. These types of drugs are linked to several other side effects, including vision problems, headaches and upset stomach. More: Which drugs cause hearing loss? What are the symptoms of sudden hearing loss? The National Institute on Deafness and Other Communication Disorders defines sudden sensorineural hearing loss as an unexplained, rapid loss of hearing either all at once or over a few days. Sudden hearing loss is considered a medical emergency—do not delay treatment. It is important to tell your treating physician that you take a medication linked to sudden hearing loss. If you have erectile dysfunction and are prescribed one of these drugs, be sure to talk to your doctor about the benefits and risks associated with the use of a PDE-5i. And become your own best advocate for healthy hearing by discussing any hearing loss you think you might be experiencing with a hearing healthcare professional.